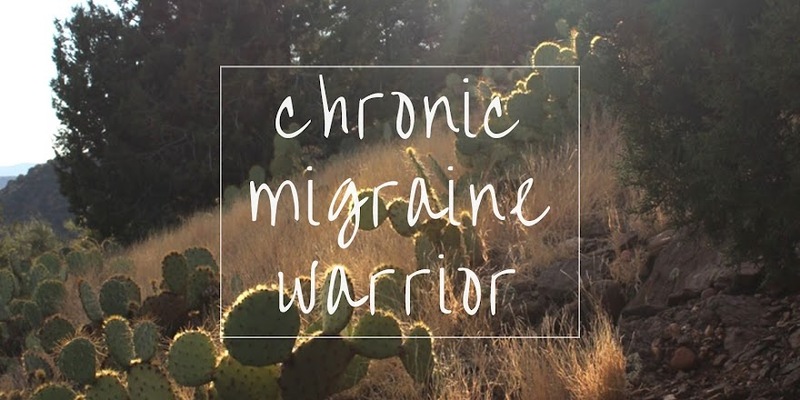 Chronic Migraine Warrior: Migraine, Migraine, Go Away... Please! Migraine, Migraine, Go Away... Please! I'm feeling pretty down right now. I've been struggling with migraine(s) that have been nearly non-stop for 5-7 days... it's hard to tell when one stops and another begins. I called my headache doctor today (so as not to get stuck over the weekend), and I feel like he just brushed me off - I was told that he doesn't have anything else to try and to go to the ER if it persists or worsens. I've gone into this doctor for emergency care several times before (same meds they might give me at ER, but in a much more migraine-friendly environment, with my own doctor, and a third of the cost). These words came crashing down on me... so disheartening, especially while I've been trying to fight this one off all day without meds because I've maxed out for the week. I can take more of my meds tomorrow - and, if I'm feeling this badly then, I'll be taking the higher dosage (an option my doctor has left to my discretion)... which should lead to sleep, and hopefully relief. Otherwise, I guess I might be going to the ER. So sorry. You don't have any kind of a breakthrough med? Have you tried some kind of seretonin receptor med? Like Imitrex? I was exactly in your place for a year and those meds came and saved my life. You have probably heard thousands of suggestions like these but I'm interested to hear why those wouldn't work. Blessings. I currently have two medications that I can take for migraines, though neither of them is actually a "migraine medicine." I believe I've tried most or all of the triptans. Some have worked marginally, while others actually helped for a while and then stopped. I'm glad that you're getting relief for your migraines from Imitrex, and I hope it continues to do so. I'm so sorry. Praying for you right now. I know exactly how you feel... The ER here is so friendly that the last 2 times I went they put me in a room with a crying baby.... so pretty much given up on them. I usually fight it out at home alone anymore. The physicians now I have to deal with do have the "I don't care" attitude and that just seems to make the pain worse. It's like I have some kind of disease they just don't want to touch.... Thank you for your blog and Keep fighting on... God Bless!! JAG, those visits to the ER sound horrendous! I'm so sorry that you've had such horrible experiences. I hope you can find relief and don't have to deal with ERs anymore. Thanks for reading my blog. Blessings. Jamie, I'm sorry that this is such a hard time for you. I hope this bad run of pain is over soon and that you can avoid the ER. Oh Jamie, I'm so sorry. your doc is a real jerk for brushing you off like that. I'll keep you in my prayers and hope that you will get some relief soon, even if it means going to the ER. Thank you, Migrainista. I really like my doctor, but this just reall upset me.